Got a spouse you can’t find? Need a divorce but can’t get the other person to sit down and sign those papers? Well, things are about to change. 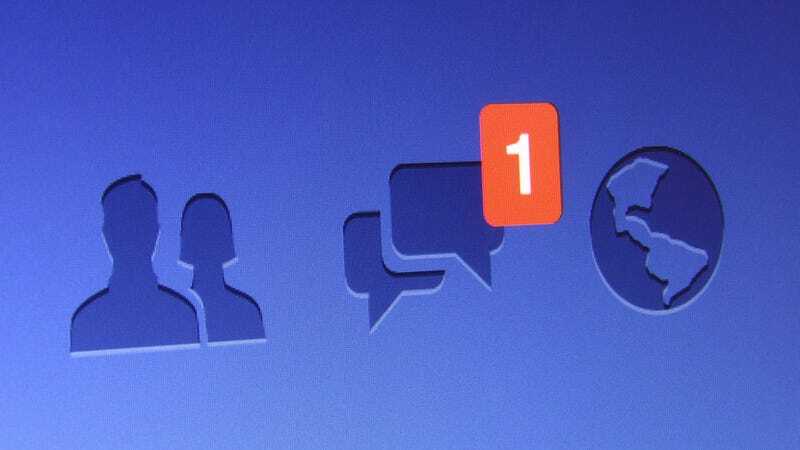 A New York judge has just issued a landmark ruling which allows divorce papers to be served through Facebook messages. And as long as the papers are sent every week for three weeks, it’s all legal and binding. Ellanora Baidoo of Brooklyn married Victor Sena Blood-Dzraku in 2009, but their marriage didn’t last long. While the two are still wed legally, The New York Daily News reports that their relationship ended shortly after their civil ceremony, when Blood-Dzraku refused to give his new bride the Ghanian ceremony he had promised her. Realizing that she wouldn’t be getting a celebration that involved her family, Baidoo didn’t move in with Blood-Dzraku, nor did the two “consummate their marriage.” But what’s most devastating about the whole thing is that Blood-Dzraku has refused to grant Baidoo a divorce and has even made finding him nearly impossible. The “post office has no forwarding address for him, there is no billing address linked to his prepaid cell phone, and the Department of Motor Vehicles has no record of him,” the ruling says. Baidoo and her lawyer even tried finding her husband via a private investigator, but came up with nothing. That’s why Justice Matthew Cooper is allowing her to send the messages via Facebook. But to make it official, she won’t be sending the missives herself. Instead, her lawyer will log into her account and send the messages to Blood-Dzraku once a week for the next three weeks while restraining himself from posting “OMG HACKED!!! !” as a status update on Baidoo’s page. The first of the messages has already gone out and Baidoo and her lawyer are waiting for her estranged husband to respond.